Marcantonio Barone performs as a member of the Lenape Chamber Ensemble, 1807 and Friends, the Casimir Trio, and the Craftsbury Chamber Players. He also appears frequently as a guest artist with the Wister Quartet. He is head of the piano department and assistant director of the Bryn Mawr Conservatory of Music, where he has taught since 1980. He is also an Associate in Performance at Swarthmore College, where he teaches piano, keyboard musicianship, and chamber music. Marcantonio Barone studied with Eleanor Sokoloff at the Curtis Institute of Music and with Leon Fleisher at the Peabody Conservatory of Music, where he was awarded the Artist Diploma in 1985. Among his other teachers were Susan Starr, and Leonard Shure. Mr. Barone is a Steinway Artist. His recordings are available on the Albany, Bridge, Capstone, and CRI labels. Notable recent performances have included Schoenberg’s Quartet no. 2 both at Tanglewood and Five Boroughs Music Festival, Sarah Kirlkland Snider’s Penelope with TURNmusic, and St. John Passion with Middlebury Bach Festival. Upcoming appearances include premiering a new work by Susan Botti at the Smithsonian Museums in D.C. with 21st Century Consort, and residencies with New Music on the Point, Fall Island Vocal Arts Seminar, and Crafstbury Chamber Players in the summer of 2019. In between travels, she and her husband Evan make music and homestead in Marshfield where they run Scrag Mountain Music and tend to their two young boys, animals, and gardens. Kenji Bunch enjoys an active career as both a composer and performer. As a violist, he is widely recognized for his own groundbreaking works for viola, many of which are included on his 2011 debut CD Unleashed! Mr. Bunch also frequently performs both traditional and contemporary chamber music as a guest of ensembles and festivals throughout the country, and with his Oregon-based group The Thunder Egg Consort. Bunch actively seeks out musical connections with artists of different genres, and has a deep interest in American folk traditions and improvisation. As a composer, his music has been performed by over fifty orchestras worldwide, has been recorded on multiple labels, is featured in documentary films, television, and in numerous collaborations with dance and theater. After more than twenty years in New York City, Mr. Bunch returned to his native Portland, Oregon in 2013 with his wife, pianist Monica Ohuchi, and their family. Victor Costanzi, co-founder and former Artistic Director of the critically acclaimed Vetta Chamber Series, is one of North America’s most versatile violinists. His professional engagements span many genres including Soloist, Concertmaster (symphony and chamber orchestra, opera, ballet, film-scores, musical theatre and for many leading popular performers), New Music, Early Music and Chamber Music. He has been a frequent guest of various chamber music series, and collaborated with numerous international artists including Heinz Holliger, Anner Bylsma, Monica Huggett, John Eliot Gardener, Andrew Parrott and Steve Reich. His debut as soloist was with the St. Paul Chamber Orchestra at the age of sixteen, and he has toured Latin America, the United States and Canada with broadcasts on both radio and television. At ease across a gamut of genres and stages, violinist Joyce Hammann’s virtuosity always shines through. Her performances have been hailed as “splendid soloing” and having a “sweet, rich tone” by The New York Times. Joyce has performed and recorded with popular artists such as Paul McCartney, Sting, Michael Jackson, Bruce Springsteen and Tony Bennett, as well as numerous film/theatrical releases and multiple appearances on Late Night with David Letterman and Saturday Night Live. Her discography includes many cutting edge contemporary music projects. Joyce regularly performs as a member of The Harlem Chamber Players, The Craftsbury Chamber Players (Vermont) and The Meeting House Players (Cape Cod). She will be touring Europe with Uri Caine as solo violinist with his jazz ensemble and as concertmaster for Fred Hersch’s Coma Dreams, jazz theater project. Currently Joyce is concertmaster for The Phantom of the Opera, Broadway’s longest running show. Award-winning cellist Mimi Hwang performs frequently as a recitalist and chamber musician and has recorded for Verdi Records. She was a founding member of the Franciscan String Quartet, First Prize winner of the Banff International String Quartet Competition, which has performed worldwide and was Quartet-in-Residence at Dartmouth College’s Hopkins Center. She has also performed with the Tokyo, Ying, Colorado and Ciompi Quartets As a soloist, Ms. Hwang has performed with the Beijing Philharmonic, the Los Angeles Philharmonic, and the San Francisco Chamber Orchestra. She is currently Assistant Professor of Chamber Music at the Eastman School of Music, Lecturer of Music at Nazareth College, Co-Artistic Director of Yellow Barn’s Young Artists Program and a founding member of the Amenda Quartet. She currently serves on the Board of Directors of Chamber Music America and the Hochstein School of Music and Dance in Rochester, NY. 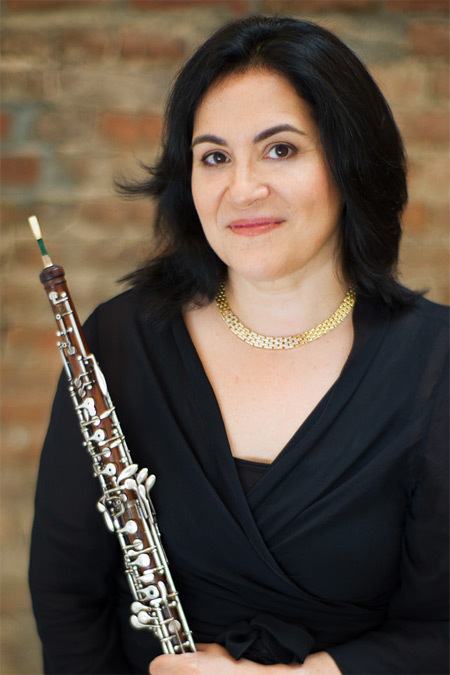 Diane Lesser is the principal oboist of the New York Pops, Amici New York, Greenwich Symphony, Oratorio Society, Musica Sacra, Voices of Ascension and the National Chorale. She performed in the Roundabout Theatre production of She Loves Me at Studio 54 and on the BroadwayHD live stream. Diane played in the orchestra for the Grammy Awards, with the Dance Theatre of Harlem on Sesame Street, at the 1992 Olympics in Albertville, France, the White House for President Clinton, and at the Mass for Pope Francis at Madison Square Garden. Active in the world of commercial music, oboist and English hornist Diane Lesser can be heard on recordings accompanying Lady Gaga and Tony Bennett, Madonna, Amy Winehouse, Harry Connick, Jr., George Michael, Celine Dion and Paul Simon. She has played on numerous film soundtracks including Maggie’s Plan, Fargo, The Untouchables, The Spanish Prisoner, You’ve Got Mail, Twilight and The Stepford Wives, and on hundreds of television and radio commercials such as Budweiser, Lucky Charms, Nasonex and Reynold’s Wrap. 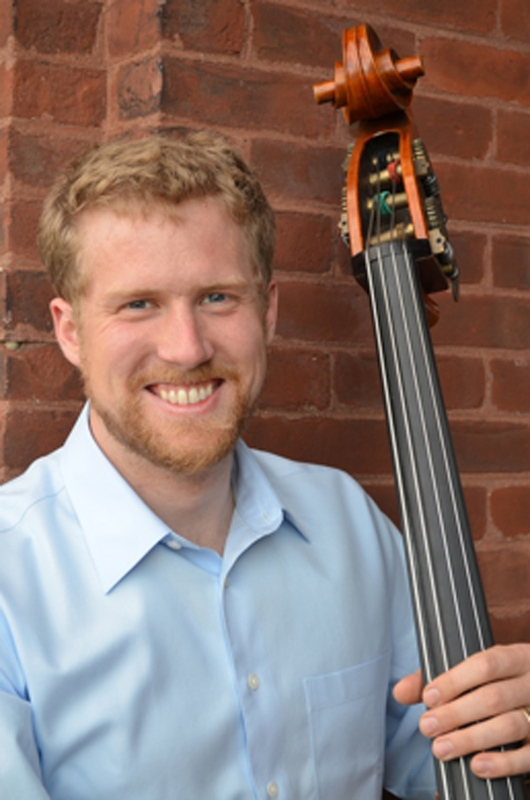 Double bassist and composer Evan Premo pursues a unique life path. As a member of Ensemble ACJW he has performed many concerts at Carnegie Hall and participated in residencies in Spain and Germany. Along with the Pittsburgh Symphony Chamber Orchestra, Evan premiered his own double concerto for violin and bass, “Simple Mysteries” inspired by the nature poetry of Mary Oliver. As a soloist, Evan also premiered “Concerto for Bass and Orchestra” by Finnish composer Jukka Linkola. His chamber opera, “The Diaries of Adam and Eve” (text by Mark Twain) was commissioned by the Pine Mountain Music and has been staged several times most recently featuring the Bergonzi String Quartet. Evan lives in rural Vermont with his wife, soprano Mary Bonhag. Together they are the founders and artistic directors of Scrag Mountain Music. When he’s not performing and composing, Evan enjoys woodworking, hiking, skiing, and simply being with Nature. 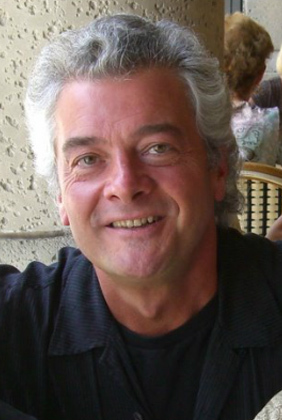 Gregory Purnhagen enjoys an eclectic career that encompasses many eras and genres. His long association with composer Philip Glass includes La Belle et la Bete, Monsters of Grace, Galileo Galilei, Einstein on the Beach (’92 & ’12) and concerts of song repertoire at Weill Hall, the Metropolitan Museum and Town Hall. 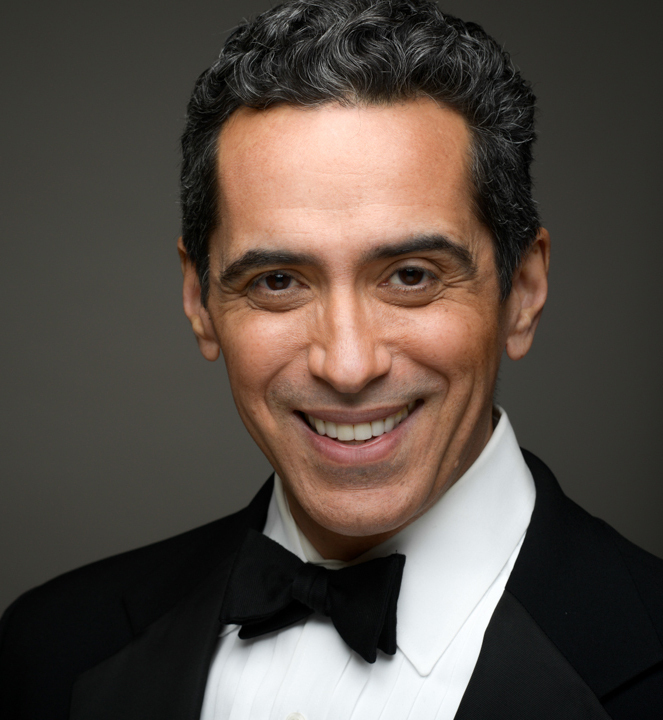 Gregory has sung as a soloist at Carnegie Hall, Alice Tully Hall, Merkin Concert Hall and other venues for Musica Sacra, Voices of Ascension and Sacred Music in a Sacred Space; created critically acclaimed cabaret shows in New York, most notably Babalu-cy! The Art of Desi Arnaz (2008 Backstage Bistro Award winner); recorded Early Music, New Music, various cast albums, guest vocals on Bjork’s CD Medulla; created roles in contemporary opera for Nick Brooke, Yoav Gal, Fred Ho, Michael Kowalski, and most recently in Lisa Bielawa’s groundbreaking video opera Vireo. As bandleader of The New Xavier Cugat Orchestra, he has toured Florida and headlined at the Montreal Jazz Festival, bringing vibrant, vintage Latin American music to new audiences while celebrating the legacies of Cugat and Arnaz. Carol Rodland enjoys a multi-faceted international career as a soloist, chamber musician, recording artist, and teacher. First prize winner of the Washington International Competition and the Artists International Auditions, she made her solo debut with the Philadelphia Orchestra as a teenager. She has premiered and recorded works by Kenji Bunch, David Liptak, Christopher Theofanidis, and Augusta Read Thomas. Currently Professor of Viola and Chamber Music at the Juilliard School, she has previously held professorships at the Eastman School of Music (where she was Co-Chair of the String Department), New England Conservatory (where she was recognized with the Krasner Award for Excellence in Teaching), and the Hochschule fuer Musik “Hanns Eisler” in Berlin. She is also an Artist-Faculty member at the Perlman Music Program and the Bowdoin International Music Festival. In 2009 she founded “If Music Be the Food…”, a concert series and now national musicians’ movement which raises awareness and support for the hungry through the sharing of great music. Cellist Frances Rowell was born and raised in Craftsbury Vermont. She got some of her earliest musical inspiration and instruction from the artists of the Craftsbury Chamber Players. She earned Bachelor’s and Master’s degrees from the Juilliard School before moving to Allentown, PA where she enjoyed a rich musical life as a teacher, chamber musician, orchestral musician, and recitalist. Since 1995 she has been a member of the New Jersey Symphony Orchestra. In addition to her performances as a member of the orchestra, she performs chamber music concerts, conducts master classes, and performs school educational programs through the New Jersey Symphony’s REACH program. Fran teaches as an adjunct faculty member at Montclair State University and performs on the roster of Young Audiences of NJ. Summers spent making music with colleagues of the Craftsbury Chamber Players continues to be a highlight of her concert season. Critically acclaimed as one of today’s most important and exciting performers, innovative violinist Mary Rowell defies classification. Known for her work with the Grammy Award® winning Tango Project, the indie band The Silos and pop icon Joe Jackson, she has carved an indelible place in contemporary classical music by co-founding the post-classical quartet ETHEL. Mary has performed, recorded and premiered countless scores of today’s composers. She has appeared as soloist with the National Symphony, Houston Symphony, New York Chamber Orchestra, and Warsaw Philharmonic, among others and stunned the dance world with her brilliant solo electric violin performances of Richard Einhorn’s Maxwell’s Demon. Mary is an ensemble member of the Tribeca New Music Festival specializing in “Avante-Pop” and, with composer/performer Eve Beglarian, is half of the experimental Americana duo BRIM. A graduate of the Juilliard School, she is on the faculty of Middlebury College and concertmaster of both the Radio City Music Hall Orchestra and the Broadway hit show Newsies. Ben Russell is a violinist, vocalist and composer who has played all over the world with all sorts of people. He was a founding member of Bryant Park Quartet and is a member of multiple groups including American Contemporary Music Ensemble (ACME), Founders, and Wordless Music Orchestra. 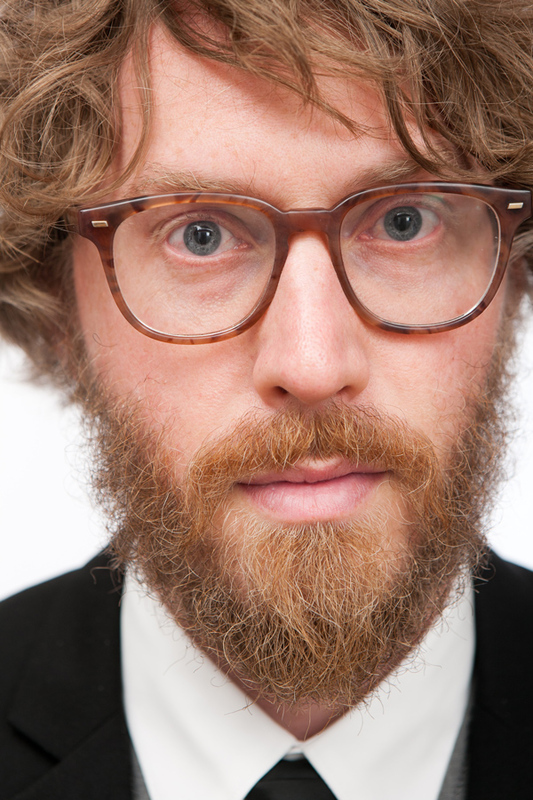 Ben has recorded a solo album of Appalachian-influenced original songs, performed on albums by Arcade Fire, Sufjan Stevens and Max Richter, and has shared the stage with Björk, Jóhann Jóhannsson, Jonny Greenwood, and Paul McCartney. Studying violin performance at Amsterdam Conservatory and receiving his Masters from New England Conservatory, he now lives in Peekskill, NY with his wife Anna and can often be found in his garden. Praised by critics for playing that is “as exciting as it is beautiful,” and for “livewire intensity” that is both “memorably demonic” and “delightfully effective,” violinist Katherine Winterstein enjoys a wide range of musical endeavors, as a chamber musician, orchestral musician, soloist, and teacher. Ms. Winterstein is the concertmaster of the Vermont Symphony, the associate concertmaster of the Rhode Island Philharmonic, and she is co-concertmaster of the Boston Pops Esplanade Orchestra. In recent seasons she has performed as concertmaster of the Palm Beach Opera, the Boston Modern Orchestra Project, and also performs regularly with the Handel and Haydn Society, Boston Baroque, and A Far Cry. She is a member of the Hartt String Quartet, the Providence-based Aurea Ensemble, and the summer of 2018 will be her 17th with the Craftsbury Chamber Players. She has also performed with Boston-based Chameleon Arts Ensemble, Radius Ensemble, and Dinosaur Annex. She has appeared as soloist with several orchestras including the the Vermont Symphony, the Wintergreen Festival Orchestra, the Charlottesville Symphony, the Champlain Philharmonic, and the Boston Virtuosi. She served on the performance faculty of Middlebury College in Vermont from 2002-2015, joined the faculty of the Hartt School of Music in September of 2011, and began teaching at Brown University in September of 2015. Russian-born Inessa Zaretsky is an award winning pianist and composer whose performances have taken her around the world while her music has been performed in England, Norway, Canada, Australia, Italy, Russia and throughout the United States. She studied piano with Richard Goode and composition with Robert Cuckson at the Mannes College of Music in New York and has collaborated with many notable musicians, such as the Miro, Enso, Jasper, and Cassat String Quartets, Kent/Blossom Festival Orchestra, Chamber Music Series of the St. Lukes Orchestra, musicians of the Boston, Chicago, and Orpheus Orchestras, members of the Metropolitan Opera and many others. Ms. Zaretsky is on the Piano faculty of Mannes College The New School for Music in New York. She has been a pianist and composer-in-residence and was recently appointed Director of the Swannanoa Chamber Music Festival in Asheville, North Carolina. She is the Artistic co-director of the Phoenix Chamber Music Series in New York City.